When you're searching for family-friendly activities that don't cost an arm and a leg, look no further than your neighborhood. In today's age of “just Google it” or “there's an app for that” it is easy to overlook your local public library. You remember… it's the place you used to go as a kid before the internet provided all the answers. Now it's time to revisit this treasure chest of education, activities, and services that are totally free. Here are 10 things you can get for free at your library. Before you can access all of the great resources provided by your local library, you'll need to register for a library card. Usually, this involves filling out an application and providing a picture ID and proof of residence (like a utility bill, mortgage statement, or another official document with your mailing address). Don't worry, this application isn't like a mortgage or auto loan where you may or may not get approved. As long as your ID is valid and you can show proof of being a local, you'll get your library card on the spot. While you're at it, if you have kids, apply for their library card as well. It will be one of many opportunities to teach them responsibility. Plus, kids love it when they get something that is usually reserved just for adults. Before our latest road trip, I stopped by our local library and was completely amazed at how many services they offered for free. I felt like I had been missing out (and wasting money on other activities) by not making visits to the library a more regular occurrence for our family. This is the most obvious answer. We all know that the library checks out books. Simply peruse the aisles or ask for guidance by one of the friendly librarians, present your library card, and the book is yours for the next week. If you're not done with it, come back to the library and extend for another week. Unless the book is popular and in demand, you can usually extend your borrowing period twice. Some libraries even allow you to extend your borrowing period online! See which recommended FI books your local library has. If carrying around a stack of paper with a binder on it (aka a book) isn't your thing, many libraries offer audiobooks and eBooks that you can listen to or read on your computer, eReader, tablet, or phone. Best of all, there are no late fees in case you forget to bring it back in time. At the end of your borrowing period, you just lose access to the book. Borrowing an audiobook or eBook also doesn't require you to physically step foot into a library because their catalog is available online. The next time you get the itch to buy a book from Amazon, click over to your library's website to see if you can borrow the audiobook or eBook instead. The libby app from Overdrive is a perfect companion while out running errands, walking the dog, or on your next road trip. If English isn't your first language or if you're looking to learn a bit of the local language before your next trip, your local library is the place to go. My library subscribes to a service called Pronunciator which offers the ability to learn any of the 87 languages available. A personal subscription is $295 per year… or you can use your library card to get it for free. Pronunciator also includes access to ProCitizen, which makes studying for the American citizenship test easy. Many libraries offer access to online courses that can help you learn a new skill or advance your career. Professional topics run the gamut from accounting and business to healthcare to sales and marketing. And you can take a course for fun in computers, arts, digital photography, personal finance, and so much more. My local library uses Gale Courses to provide these online learning resources available to anyone with a library card. Gale Courses offers more than 360 courses that last six weeks and are taught by college professors who are experts in their field. As a parent, we all want our children to excel and reach their potential. With summer reading programs offered by local libraries, your child will be motivated to put down the iPad or gaming controller and pick up a book. Not only are there potential prizes to win for reaching reading goals, there's also the competition element. Who wouldn't want bragging rights over their friends for being the one who read more books than their buddies? As smart as we think we are, kids are taught in completely different ways than we were as a child. I'm dreading the day when I have to figure out the “new math” methods of Common Core. Luckily, my local library offers free online tutoring through brainfuse for Kindergarten through College classes. With this program, there are online quizzes & games, online study groups, and the ability to interact with a live tutor from 1 pm to 10 pm daily. You can also submit questions and get help with homework. This library freebie may become my best friend during the upcoming school year! If you don't have a computer at home or if it's too slow to get some work completed, never fear, your local library is here to save the day. With your library card, you can access computers to access the internet, type a letter or report, or complete a spreadsheet. Just remember to bring a removable storage device so that you can save your personal files for later use. Through a partnership with Nolo, a respected legal website, your library may also provide access to a wealth of legal information, research, and forms. There are many things in the court of law that you shouldn't handle without the advice of an attorney, but there are plenty of others where it seems like a ripoff that you have to pay someone to fill out a simple form on your behalf. In situations where you feel comfortable completing the legal paperwork required, it is a relief to know that Nolo and your local library are here to help. On a regular basis, your library will schedule live presentations and children's entertainment for the local community. One recent Saturday, a speaker had the children exploring the galaxies by having them participate in fun space activities while learning about the universe. He even had real moon rocks and meteorites for the children to see. Check with your local library to see their schedule of events. Redbox and Target aren't the only sources for movies. At your local library, you can borrow the latest movies just like you would any of the many books inside. Due to the high cost of DVDs, there may be a small charge. My local library charges $1 to rent two movies for one week. Considering that my young kids can watch the same movie 100 times on repeat, it's nice to know that I don't have to buy the movie or pay extra fees to Redbox to keep a movie for longer than a day. What's Your Favorite Library Freebie? 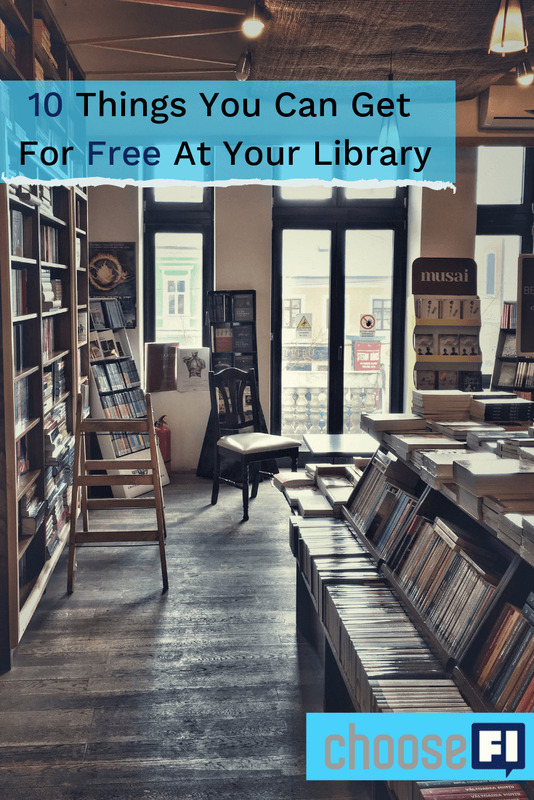 Libraries offer an amazing array of freebies available to anyone with a library card. Once you've registered for a library card, you may not know where to start first. With this list of 10 things you can get for free at your library, you have a head start to make the most of your next visit. What is the favorite freebie offered at your local library? Please share in the comment section below. 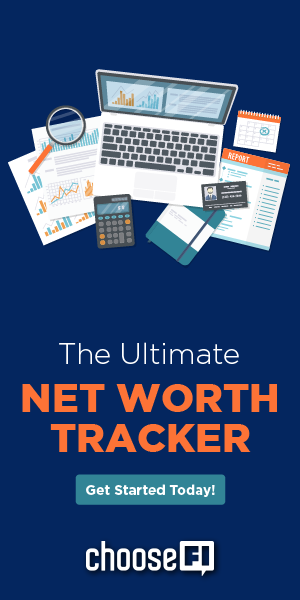 Lee is a former financial planner and corporate finance manager who now writes about early retirement, credit cards, travel, insurance, and other personal finance topics. He enjoys showing people how to travel more, spend less, and live better. At mine you can borrow specialty cake pans, sets of books for book clubs, free access to Lynda.com trainings, puzzles, and exercise equipment (kettlebells, etc.). Love the ability to reserve ebooks-Overdrive is fantastic. We’re reserving books from our library in Florida while we spend a (somewhat frugal) summer in Colorado. In Denver, we can “rent” museum passes, state park passes, and use maker spaces! One thing a friend taught me: if they don’t have a book you want, whether in print or digital, request it! I just did this for a book they didn’t have in stock and sure enough–two weeks later it was available on Overdrive. 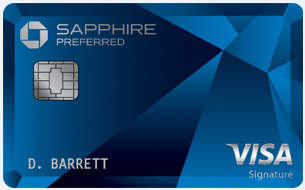 I happen to live in Japan right now, but maintaining a US library card still gains me digital access. Gotta love the 21st century. I live in a small town, and the librarians here know my kids’ book offered we better than I do! I also just discovered the online library connection system, which allows me to browse all of the libraries in my state. If I see a book that I want but it’s in a library on the other side of the state, I put it on my list and I get an email as soon as it’s available! It’s amazing! Not only that but they do regular children’s entertainment, most of which is super fun. Gotta love the library! Great job capturing the benefits of the library. Our library has a tool library where you can check out lawn mowers, power tools, gardening tools, etc. Kiddos can check out fishing poles too. We also get access to free legal resources to write wills and such through Legal Zoom. I am always amazed at what resources libraries can be! I live in toronto, and here in one of the libraries you can check out Musical instruments: Ukulele, violin, saxo, guitar Key board..you name it. My library has a seed exchange!! How cool is that?! Ours too! Such a cool benefit. Our county library offers musical instruments, toys for the kids, board games, and Wi-Fi hotspots. You can also use a 3D printer and VR headset at the library. I especially love being able to request books that they don’t currently so they’ll wind up purchasing a copy and letting me be the first to check it out. I love our local library. I’ve stopped buying books long ago and rely 100% on the library. If I happen to read a reference book that I just HAVE to have, then I can buy it, but using the library has helped me immensely with my FI goals. I also have the option at my library to order a book from another library (when my library doesn’t have it) and they send it to my library for free for me to use for 3 weeks. DVD movies are free for 3 weeks. And best of all is the app; I can order a book or renew it, right from my phone! Thanks for the great article! Our library offers digital access to newspapers and magazines from around the world. My library also has a seed bank! In addition, we are able to check out print books, audio books, music CDs, movies, and a home energy audit kit – all at no charge (surprised to read that some libraries would have a movie rental fee). Everything is free at our library – unless it’s overdue! Also love the free entertainment that is regularly offered, including free activities for kids, bilingual storytime, musical performances, classes & more.